Our individual kits are the most affordable way for you to get started repairing targets. 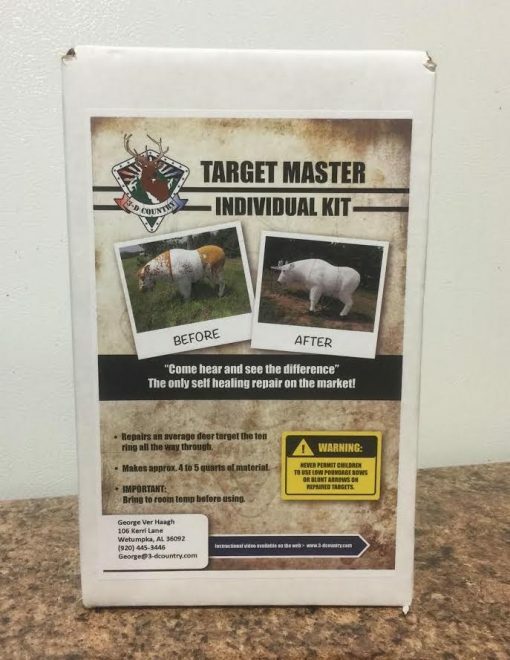 Each individual kit includes all the material you will need to repair your first target. If this is your first repair, an instruction video is available here: VIDEO. A list of tools that you will need is also included. Just the right amount of resin and hardener to complete one repair. We’ve done the measuring for you. Just follow the enclosed instructions and you are off and running.Individual kits are available through a number of retailers.